After the launch of the new Figo twins (Figo Aspire and Next generation Figo), the American automaker, Ford India has shifted its focus to bring the new Endeavour. Tomorrow (Jan 20), the latest generation Endeavour model, which has already gone on sale in certain South East Asian pockets will be launched here in India. The earlier Ford Endeavour model took on the likings of Toyota Fortuner and Mitsubishi Pajero Sport. The new next-generation models of both these SUVs headed our way next year, an early 2016 launch will give the new Endeavour quite a headstart and effectively, a free run of sorts for some time. 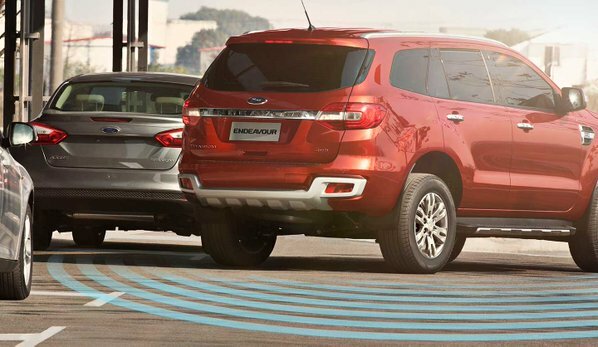 Ford Endeavour is a more potent rival to the recently launched Chevrolet Trailblazer. When it comes to dimensions, the new Ford Endeavour measures 4893mm in length, 1862mm in width and 1836mm in height. The Kerb weight of the motorcycle is 2,357 Kgs. The new Endeavour would be getting a 17-inch alloy wheels with a bootspace of 450 litres. There are two different diesel engines offered by Ford Endeavour – the one with a capacity of 2.2 litre and the other with 3.2 litres. While the 2.2 litre engine offers 148 bhp of power and 385 Nm torque , the 3.2 litre engine offers 197 bhp of power and 470 Nm torque. Ford Endeavour will be offered in both 6-Speed Manual as well as Automatic gearbox. Expect the Endeavour to offer a milage of upto 12kmpl. The car will feature some of the best-in-class features like dual zone air Conditioning system, power windows, central locking system, steering audio controls and audio system, Bluetooth/Aux/USB. Endeavour would also come with safety features like 6 airbags, Anti-lock breaking system. The price of new Ford Endeavour has not be officially revealed yet. Stay tuned to know more information on Ford Endeavour tomorrow.